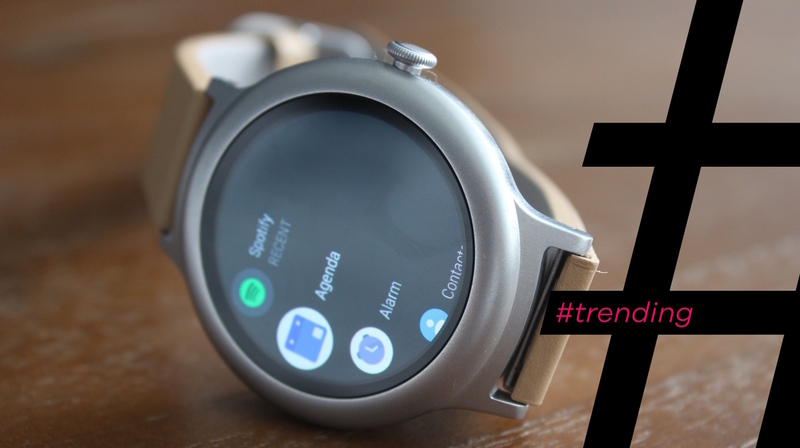 There's really only one thing we can talk about this week and that's Android Wear 2.0. Google made us wait it out for the big software update and to make sure we stood up and took notice, it also launched two new smartwatches alongside it. The LG Watch Sport is one of the best Android Wear watches we've had our hands on and while the Watch Style might not be as feature-packed, it's the most attractive Wear watch we've had around our wrist for some time. Away from the upgrades in the software department one of the most notable hardware additions is the rotating crown. Before Apple Watch owners channel that 'Simpsons Already Did it' episode of South Park, we get it, Apple got there first. What's more important here is that by enabling Wear hardware partners to smarten up traditional watch design features, Google has effectively held its hands up and admitted that its big push on voice and touchscreen control was perhaps miscued. We're not saying it's giving up on voice, but the move proves that actually those elements like the crown are what made watches stand the test of time. LG might be the first of the Wear bunch to do it, but it certainly won't be the last with more smartwatches running the OS on the way before the end of 2017. Sometimes you need to look back to go forward and remember why the original wearable has lasted this long. So what's LG done exactly? It's designed and launched two new smartwatches that takes the traditional watch crown and given it a smart makeover. Right now it'll let you scroll through the redesigned app drawer introduced in Android Wear 2.0. It'll also let you move up and down through notifications and news in the Google Feed app. It also works with Google Maps to zoom in and out of locations. Third party app developers can take advantage of it as well. Nest's new Android Wear 2.0 app is among the first, letting you adjust your smart thermostat via the rotating crown. Why has it been possible? Android Wear 2.0 quite simply. Google's latest OS update, which has previously been strongly focused on pushing touchscreen and voice navigation, has now decided that it will further extend support for physical hardware features to improve navigating Google-powered smartwatches. Is LG the only one doing this? Yes and no. Casio and New Balance announced new Android Wear smartwatches in January and while they haven't gone with smarter crowns, they have opted to include multiple physical buttons some of which can be assigned to your favourite apps or features to quickly launch them with just a press of a button. Will it just be all about smarter watch crowns? Apparently not. When we spoke to someone from the Android Wear team recently they told us that there's scope to make other physical watch design elements more connected and we could even see rotating bezels. That's because Samsung has already done it. It appeared on the Gear S2 first and then both new Gear S3 watch models. It also offers an alternative way to navigate Samsung's Tizen OS and is also open to third party developers to smarten up the rotating bezel. So is this the end for voice control? Not necessarily. Like Apple, Google is jumping on the voice assistant bandwagon as well with Google Assistant already making an appearance on the LG Watch Style and Sport. It'll also be available on all smartwatches that can be upgraded to Wear 2.0 and powers the company's Home smart speaker. It's clearly not the finished article as our time with it on the Watch Sport and Style proved, but as the popularity of Amazon Echo has proved, voice control is still going to be a big deal. We should also talk about Google's recent acquisition of smartwatch OS startup Cronologics. That's the startup founded by ex-Googlers whose operating system runs inside the CoWatch and the Blocks modular smartwatch. The CoWatch was the first smartwatch to feature the intuitive Cronologics OS that also threw Alexa voice controls into the mix. While we're not saying we're going to see an Alexa-powered Android Wear watch, the hands-free interaction is still clearly a big part of Google's smartwatch plans.